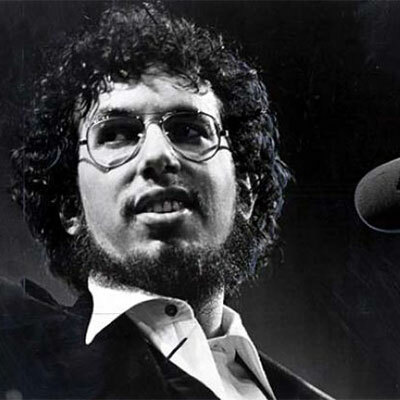 Folk legend and blues hero David Bromberg created a unique style that often mixed elements of folk, blues, bluegrass, rock and rambling narratives which became the thinking man's foot-stomping music of the seventies. Bromberg's career took him from backing up Jerry Jeff Walker on Mr. Bojangles, to Bob Dylan on his Self Portrait album, and finally to opening night at the 1970 Isle of Wright Festival, where his performance of �Bullfrog Blues� sparked a decade of success as one of this country's premier folk artists. "The first professional work I did was behind a gospel singer named Brother John Sours," explained Bromberg. "Then I did a whole bunch of rock'n'roll gigs, playing guitar for Chubby Checker for a little while, and then recording with Jay and the Americans," he added. A native of Philadelphia, Bromberg performed with Jerry Jeff Walker at the Main Point and returned to a record portion of his first album, David Bromberg, in Germantown's World Control Studio. Bromberg's expertise on guitar, violin, mandolin and banjo are displayed on his acoustic albums, including Demons in Disguise, which featured guest artists The Grateful Dead, and Midnight On The Water featuring appearances by Emmylou Harris, Linda Ronstadt, Bonnie Raitt, Ricky Skaggs and others. David Bromberg attended the Chicago School of Violinmaking, and in the Eighties ran a wholesale violin shop in Chicago, where over the years he acquired a stunning collection of American violins. In 2002 David and his family relocated to Wilmington, DE to open a violin shop.